Not sure what to buy them? 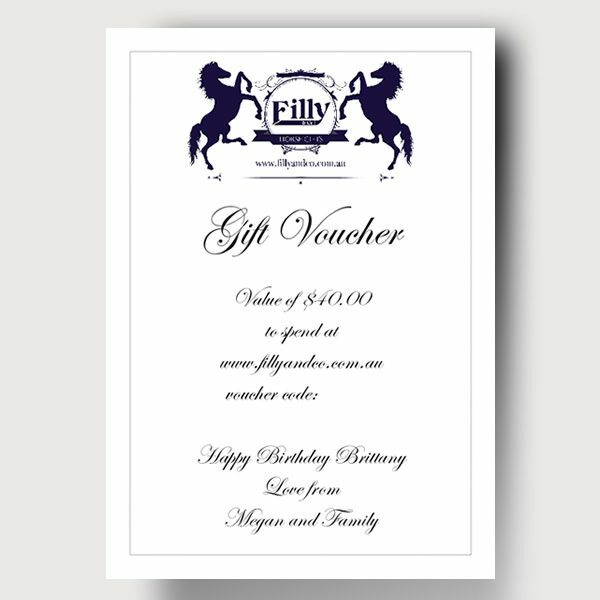 Why not let them choose by selecting a Filly and Co Gift Voucher. Just select the value gift voucher you would like. Each gift voucher is also personalised with the recipients name, message and name of sender. You can select to have the gift voucher printed and posted free of charge or emailed directly to you. Please allow 24 hours (although we normally get them done within a few hours where possible). The email address the voucher should be sent to.